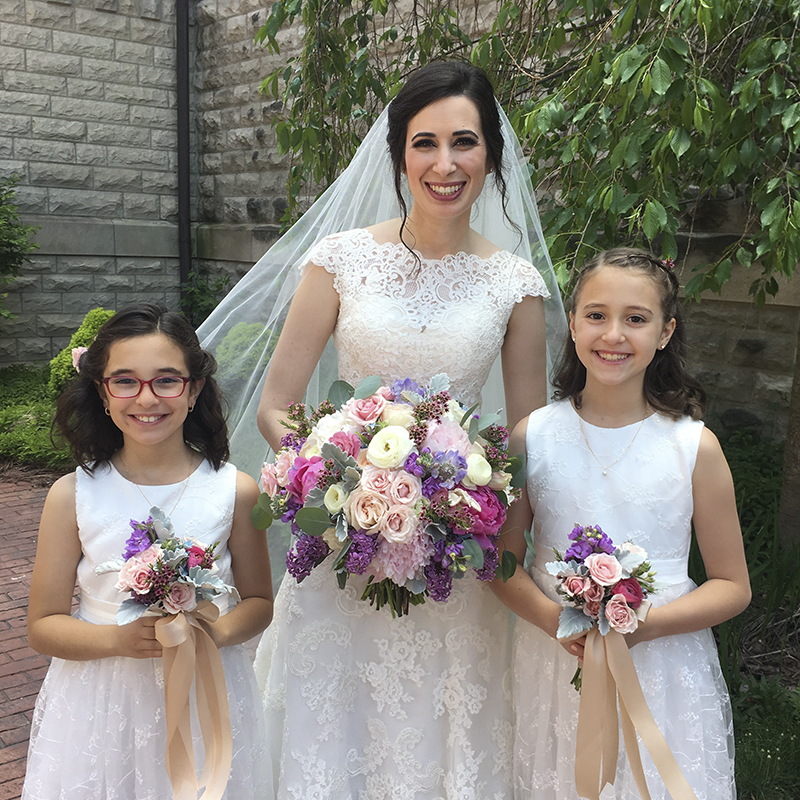 This past Memorial Day weekend, our cousin, Katie, was married in Grand Rapids, MI. Weddings are always a big family affair for us and this wedding was no exception. 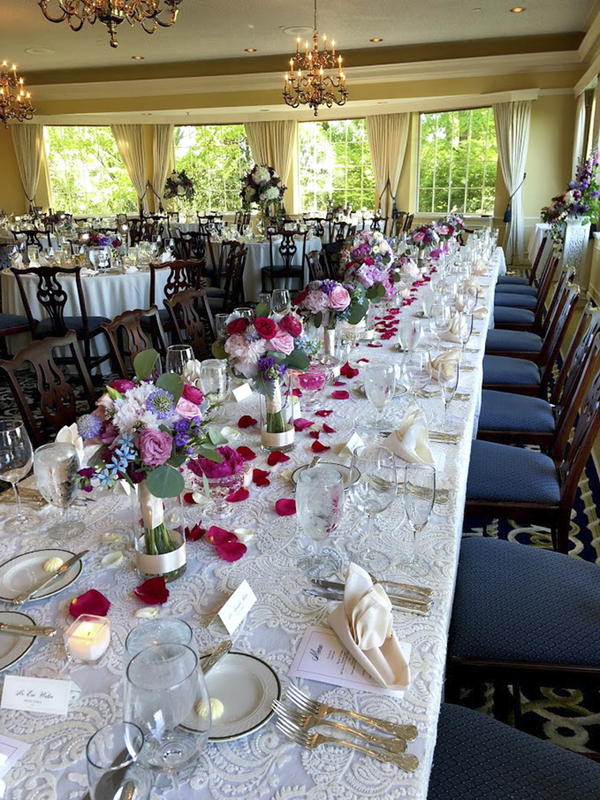 An out of town wedding meant a little extra effort, but considering our past experience with out of town events, this wasn’t anything our team couldn’t handle with proper planning. Fresh flowers need to be kept cold, so we loaded the refrigerated van at 6 am, and drove two and a half hours to Kent Country Club where we set up the reception décor. When we are guests at a wedding that we are also servicing, it makes getting ready a little hectic, but despite the morning rush, we thoroughly enjoyed our time celebrating this happy occasion with our family and friends. 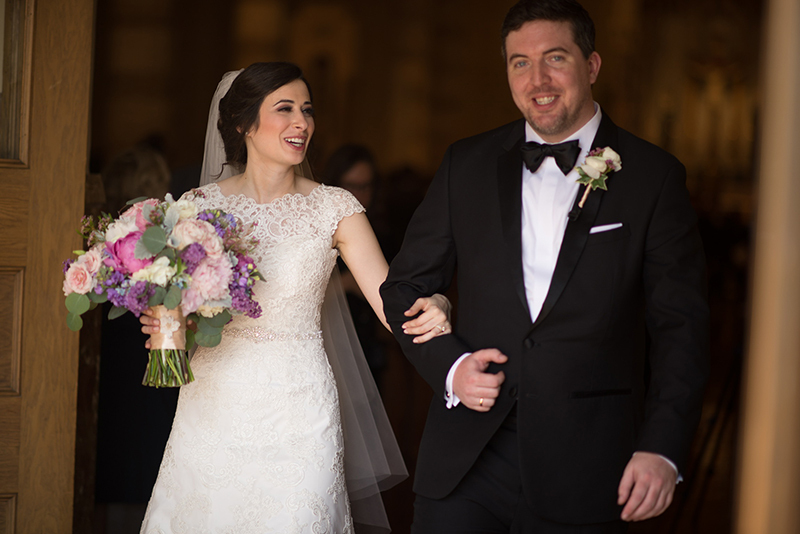 Katie made a stunning bride in her elegant lace dress, and she walked down the aisle at the Basilica of St. Adalbert with a bouquet of pretty pinks and purples. 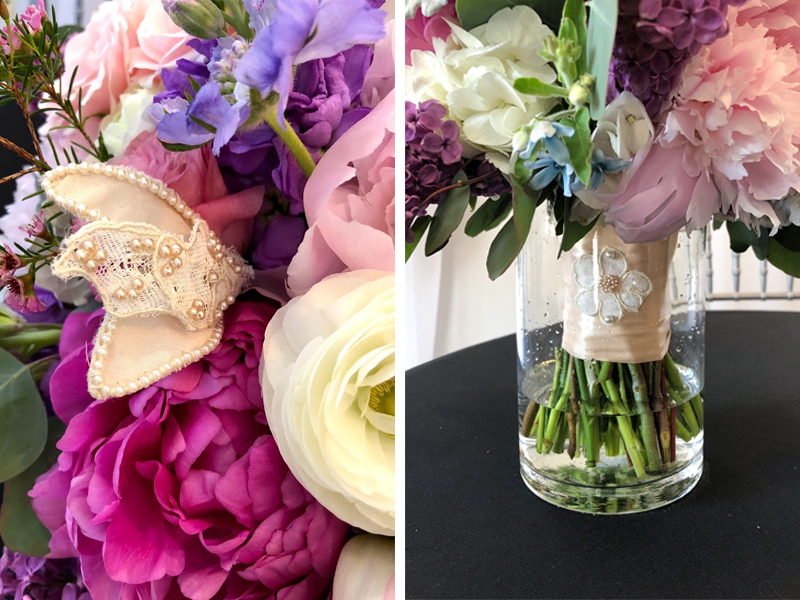 A week before the wedding, her mother sent us vintage hair pieces that both Katie’s grandmother and mother wore on their wedding days, and we included these pieces in Katie’s bridal bouquet. Upon seeing the bouquet for the first time, both Katie and our aunt teared up. 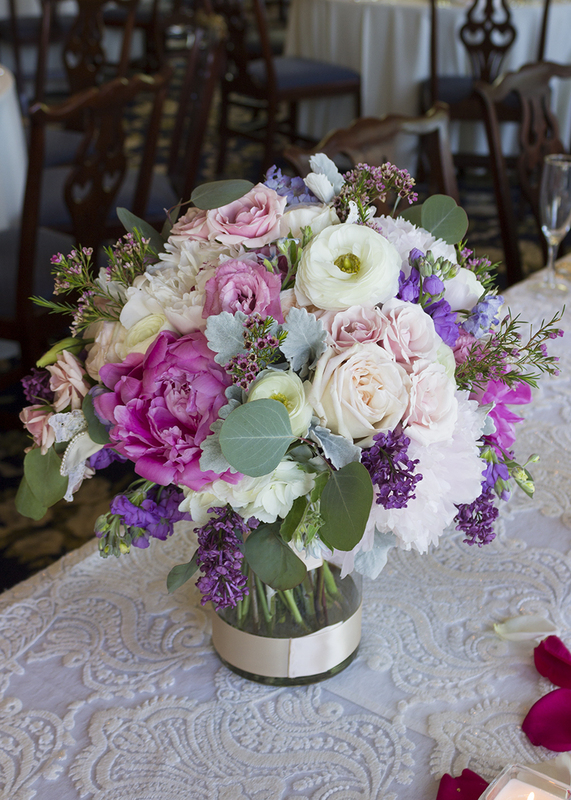 Flowers may be a small part of a wedding day, and far less significant than the vows being made at the altar between husband and wife, but flowers do have a particular ability to add special value to an occasion, and sentimental moments like this make us feel especailly honored to participate in a wedding. 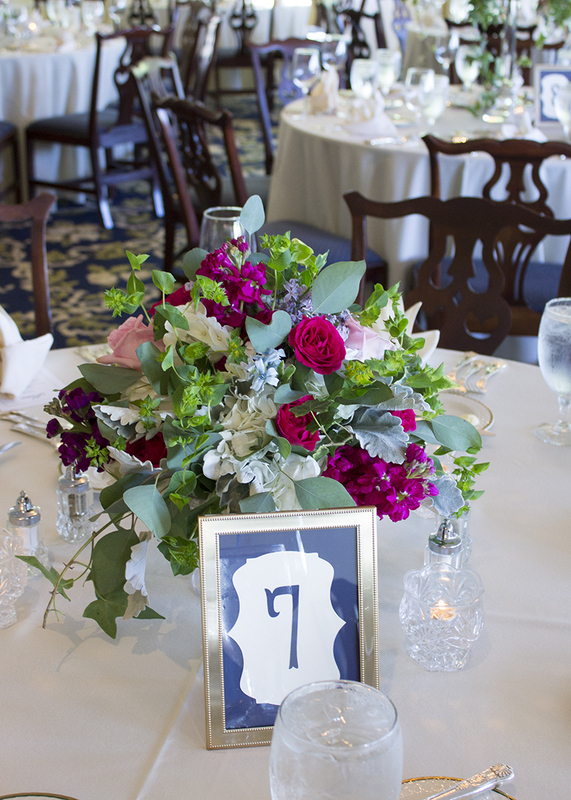 Because our family has all grown up around flowers, it can make narrowing down a floral vision a little difficult, but Katie wanted her flowers to resemble a romantic and elegant garden. 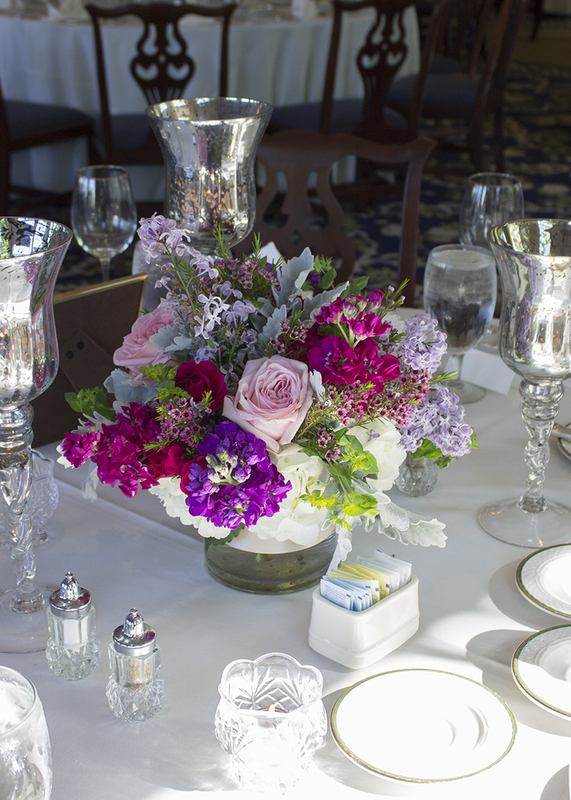 She chose very feminine colors, and popular garden flowers like peonies, hydrangeas, lilacs, and roses. We were lucky because the cold spring meant that lilacs were still in season at the time of her wedding. 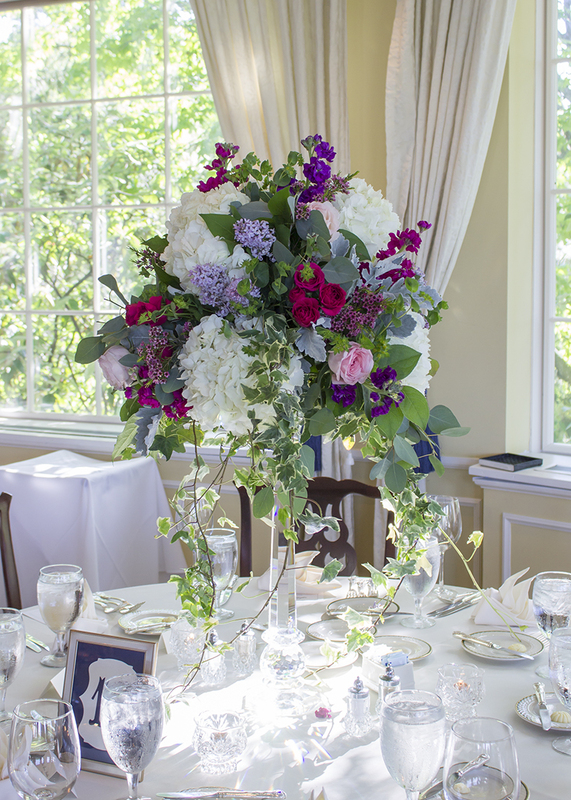 The ivy draping out of her centerpieces added the final gardeny touch. We wish our dear cousin and her husband a lifetime of happiness!